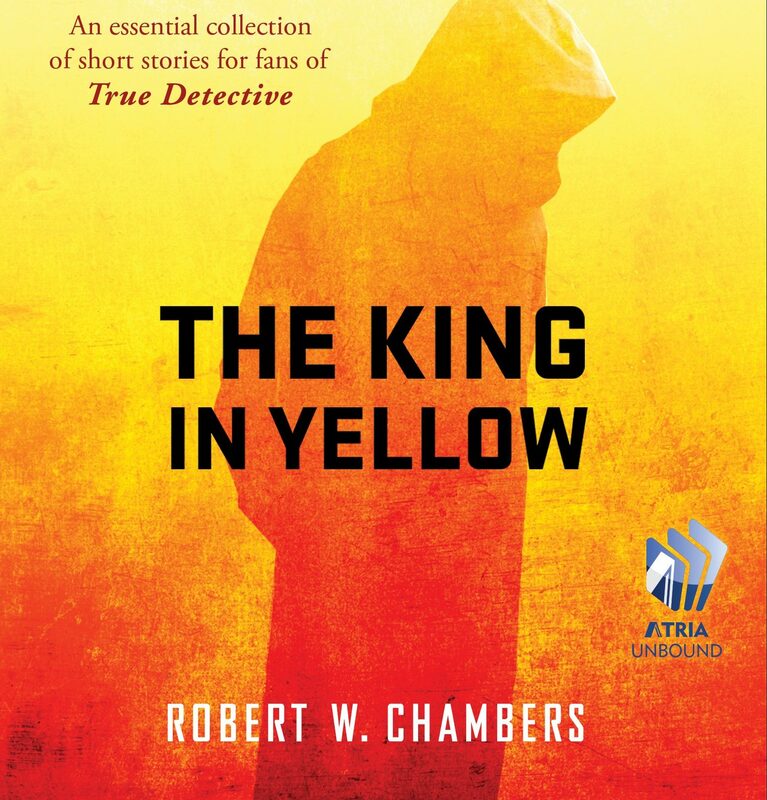 The King in Yellow (first published in 1895) is a collection of short stories written by author Robert W. Chambers. Most of the tales in the collection are supernatural, and the first four ­­— “The Repairer of Reputations”, “The Mask”, “In the Court of the Dragon”, and “The Yellow Sign” — all deal with the King In Yellow and his Yellow Sign. The concept of a madness-inducing book is familiar to anyone who has read much H.P. Lovecraft. Chambers’ The King in Yellow was a clear and considerable influence on Lovecraft’s work, particularly his fictional, forbidden Necronomicon, which was first seen in his 1924 short story “The Hound” and which has been used as a horror trope in countless works by different authors and filmmakers since then. Lovecraft has been such an influential and popular author that the King in Yellow mythos is retroactively considered to be part of the Lovecraftian mythos. Chambers’ book experienced a recent resurgence in popularity because the first season of True Detective used a number of elements from Chambers’ mythos. Consequently, a whole new generation became interested in tales that tie in with the universe of the sinister King in Yellow. The King in Yellow was on my to-read list for at least a decade. But once I started receiving invitations to write for KiY-themed anthologies, I took that as a clear sign that I needed to buckle down and read the book. I found that the first five stories in the collection are by far the most compelling in terms of story and imagery. The remaining non-supernatural tales about bohemian artists in Paris haven’t aged well and tend to drag by modern standards; any reader who’s sought out the collection because of his or her interest in True Detective or Lovecraftian fiction can safely read the first half of the collection and skip the rest. I thought, too, of the King in Yellow wrapped in the fantastic colours of his tattered mantle, and that bitter cry of Cassilda, “Not upon us, oh King, not upon us!” Feverishly I struggled to put it from me, but I saw the lake of Hali, thin and blank, without a ripple or wind to stir it, and I saw the towers of Carcosa behind the moon. Aldebaran, the Hyades, Alar, Hastur, glided through the cloud-rifts which fluttered and flapped as they passed like the scolloped tatters of the King in Yellow. “In the Court of the Dragon,” the third story, is loaded with creepy atmosphere, and the fourth story “The Yellow Sign”, is an equally evocative tale of madness and the undead. So what is it about these 120-year-old stories that remain compelling to modern readers and writers? Chambers gives the reader brief, vivid glimpses of the dark fantastic … and nothing more. When you finish the book, you have an image in your head of the King, but no idea who or what he actually is or wants. Was he human? Is he an alien? An ancient, diabolic god? What happens in the play? What happens to the characters taken by the King? Their ultimate fates are no clearer than the mists of Carcosa. Chambers left us a puzzle in the form of a book, and we who follow his literary path cannot help but try to solve it with our own stories.